Talmudist; born in Semyatitch, Russia, about 1813; died in New York city May 6, 1888. 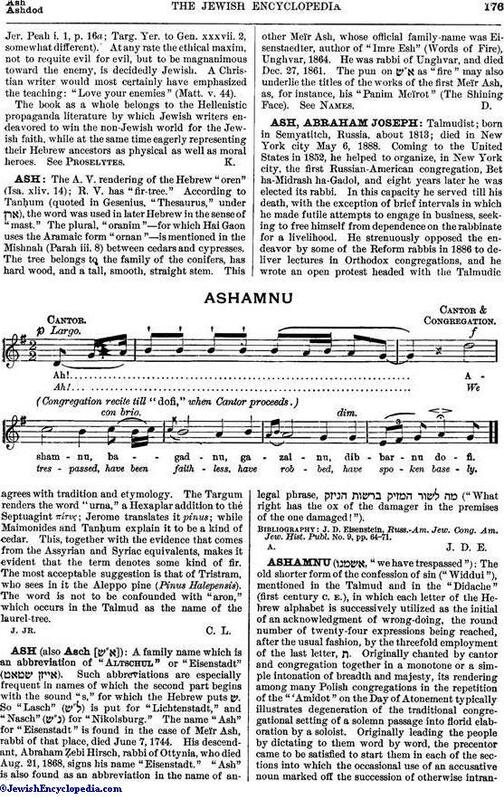 Coming to the United States in 1852, he helped to organize, in New York city, the first Russian-American congregation, Bet ha-Midrash ha-Gadol, and eight years later he was elected its rabbi. In this capacity he served till his death, with the exception of brief intervals in which he made futile attempts to engage in business, seeking to free himself from dependence on the rabbinate for a livelihood. He strenuously opposed the endeavor by some of the Reform rabbis in 1886 to deliver lectures in Orthodox congregations, and he wrote an open protest headed with the Talmudic legal phrase, ("What right has the ox of the damager in the premises of the one damaged!"). J. D. Eisenstein, Russ.-Am. Jew. Gong. Am. Jew. Hist. Publ. No. 9, pp. 64-71.